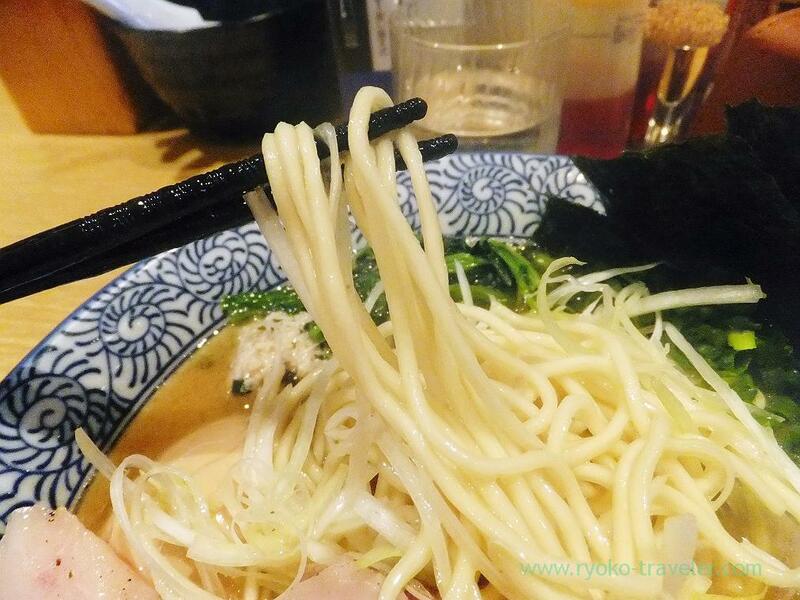 We went to the ramen shop named Menya Itto that serve one of the most popular tsukemen in Tokyo. Maybe everyone who like yummy ramen in Tokyo must have known their name ! We got to the shop just past 2:30 p.m. But there were still 50 or more people waiting, not only in front of the shop but also along parking lot across the road. Anyway we followed the end of the waiting line along the parking lot, but we hesitated to keep waiting such a long time. As soon as we followed the line, the staff came to us and he put it just after us. There’s no choice but keep waiting ! We were at a loss how many hours do we had to wait. Two hours ? or more ? But fortunately, we waited for about an hour. Finally we could be in front of the door. So, trains are often delayed because of accidents. 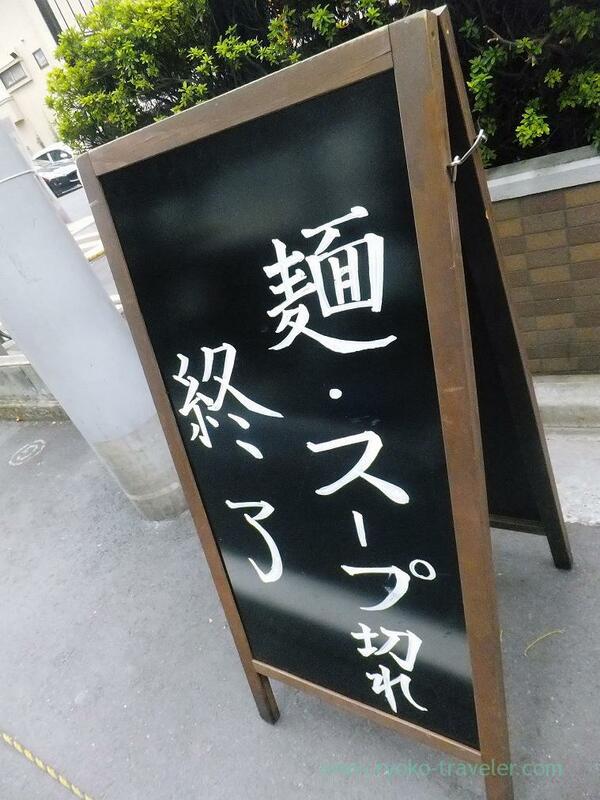 Though their business hours is until 3 p.m. at lunchtime, it was already near 4 p.m. But they didn’t hurry us. But I felt uneasy all the same. Because I always take much time to eat and I was the last guest. Itto use 5 species of flour and cook 3 types of noodles. For ramen, for tsukemen and for limited one. Ticket vending machine is inside the door and the staff asked as to buy our ticket while waiting at the seats in front of the shop. It takes about 5 minutes walk from Shin-Koiwa station. Shin-Koiwa station is 4 stations away from Tokyo station by JR Sobu line. Though it’s inside Tokyo, it’s around the boundary line between Tokyo and Chiba. Of course, their tsukemen is popular, this ramen have high reputation, too. Those roast pork and roast chicken was so juicy and tasty. Also this half-boiled ajitama (Boiled egg soaked in soy sauce) was good. And I like narrow noodles like this. And dessert after the meal was only for women. Sorbet. Person who order large helping of tsukemen can have second helping of soup free of charge. But I don’t like tsukemen because soup is lukewarm or get cold soon. 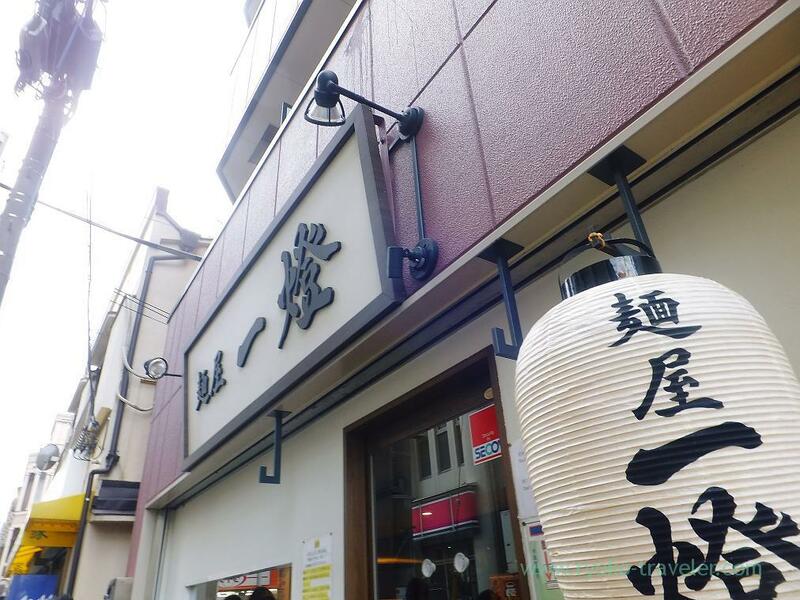 Of course, Atsumori (Hot noodles) could be ordered at this shop, too. So, I want to order “Atsumori” tsukekemn next time. Itto group is now expanding around Koiwa station. 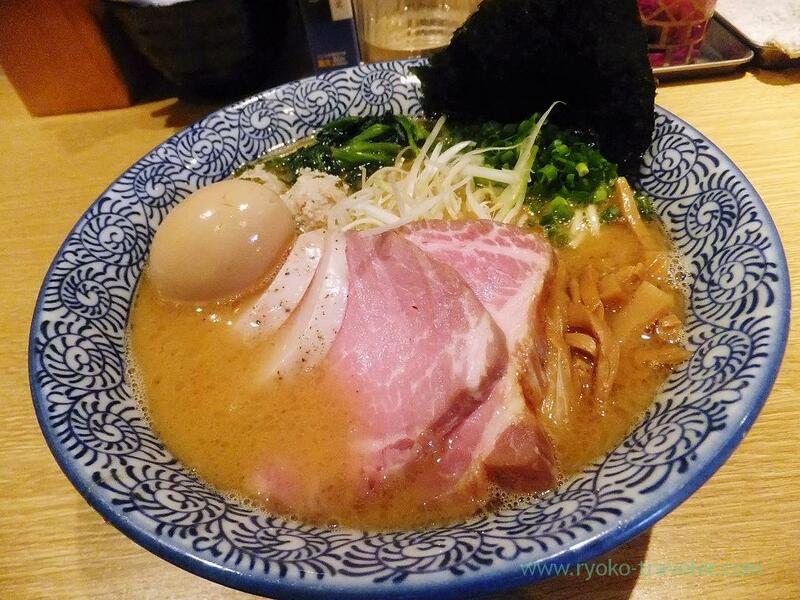 Though this Menya Ittou have the highest reputation and so large number of people visit, another shops like Tsukemen Itto (つけ麺 一燈) and Toro (燈郎) have much people visitng, too. 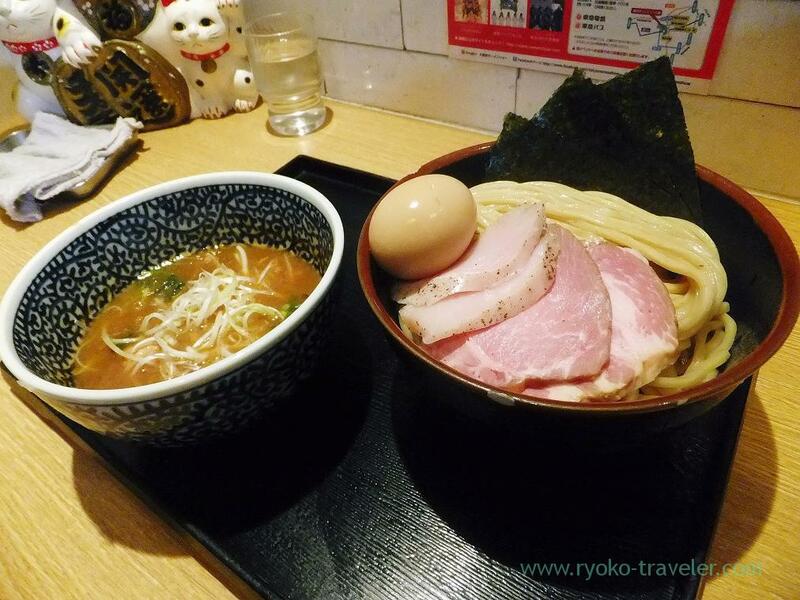 Hi Ryoko, the tsukemen looks really gd! 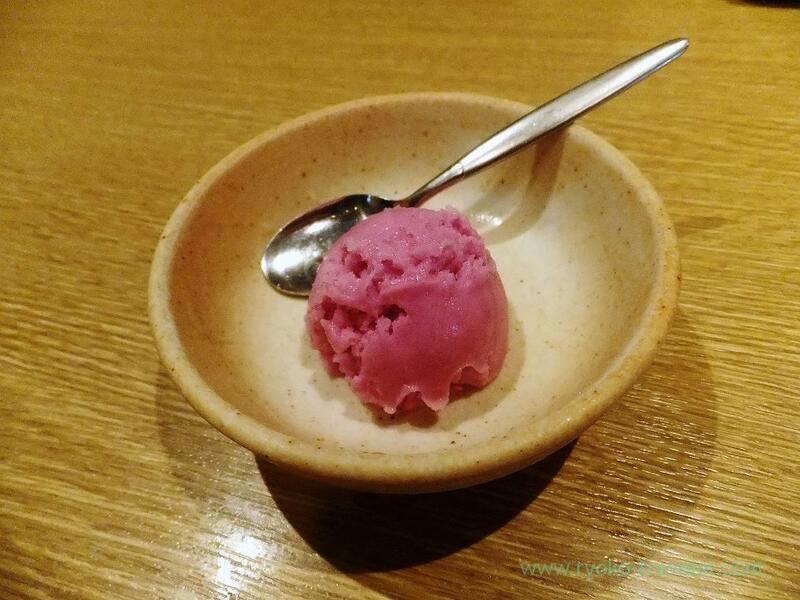 Have u tried Gonokamiseisakujo in Shinjuku? We loved their tsukemen… Very thick tomato prawn base! I haven’t eaten at Gonokamiseisakujo yet. But I’m very interested in their tsukemen. Prawn base soup is very attract me ! I want to try it as soon as possible !